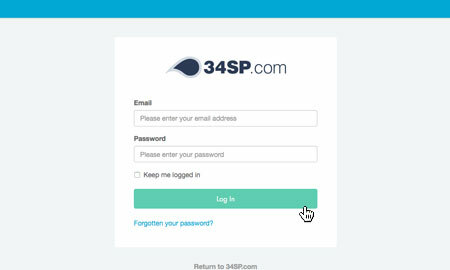 This is a quick step-by-step walkthrough for upgrading your Reseller Hosting account via the 34SP.com Control Panel. 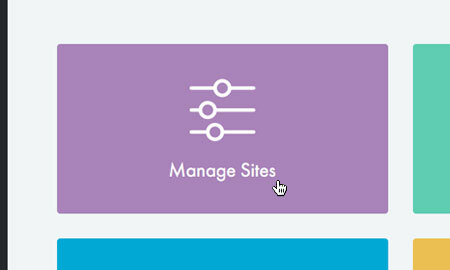 Once you have logged in, click on the 'Manage Sites' icon. This will bring up a list of websites or domain names you have in your 34SP.com account. Simply choose your Reseller Hosting account. After you have clicked on the website or domain name you wish to edit, you will be presented with a page of icons. Please click on the tab labelled 'Upgrade'. 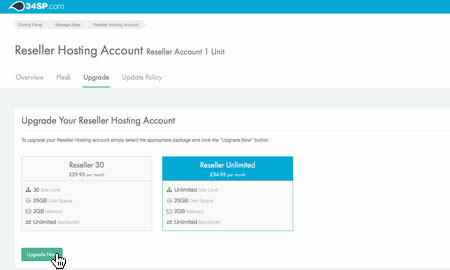 Please note: It's not possible to upgrade all Reseller Hosting accounts. 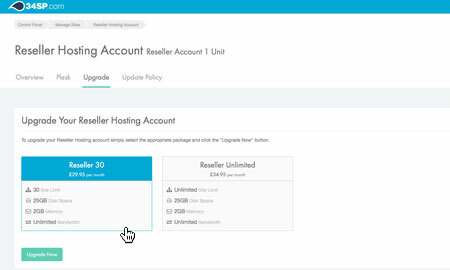 If you cannot see an 'Upgrade' tab, it means your Reseller Hosting account is not eligible for being upgrading via the Control Panel. If you wish to discuss alternative upgrade options, please contact our support team. The 'Upgrade' page provides an overview on your upgrade options. Reseller Hosting has 2 different 'packages', '30 Domain Hosting' & 'Unlimited Domain Hosting'. 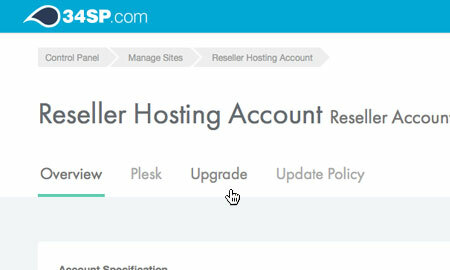 To upgrade your Reseller Hosting account, click on the package, then click on the button labelled 'Upgrade Now'.